Design Thinking to Smash Workplace Inequality - CTRL+CLICK CAST - We inspect the web for you! Your browser doesn't support HTML5 audio, and won't play Design Thinking to Smash Workplace Inequality with Vanessa Dewey. You can download this episode to play on your preferred media device, or you can read our transcript. Workplace inequality is a tough issue to tackle — maybe a change in perspective is needed! Mattel’s Vanessa Dewey, lead of Development and Creative Experiences, joins the show to tackle how design thinking may be the way to break through. We discuss corporate policies and how to navigate being a woman in the workplace. We share communication techniques, impress the importance of empathy and the ROI of a more equitable workplace. Preview: I feel what diversity and inclusion has done and it is trying to evolve and strengthen these groups, definitely it will support that because I think it will create that touch point, those connections. I like that even before you said empathy, I think that’s the one thing as being empathetic because we always talk about being focused on the children, our consumer. Lea Alcantara: Today’s episode is sponsored by Craft CMS. The Craft CMS team is excited to announce that the first release candidate for Craft 3 is right around the corner. On top of all the great features already available in the Craft 3 Beta, this update will feature improvements to the Control Panel UI, a new concept called “Site Groups,” and more. Best of all, once it’s out, Craft 3 will be considered production ready, so you can start using it for actual projects. Craft 3 RC1 will be available from craftcms.com/3. 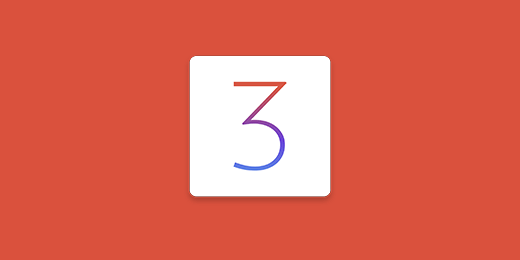 To stay in the loop about Craft 3 follow @craftcms on Twitter. This episode is also brought to you by Sidecar. Sidecar was built by the team at Focus Lab to educate and empower creative professionals. Sidecar shares industry experience that touches on subjects like best design practices, effectively communicating with clients and more. Sidecar isn’t just about teaching, but also about doing. Their digital store provides assets that help speed along the design process for a variety of needs. 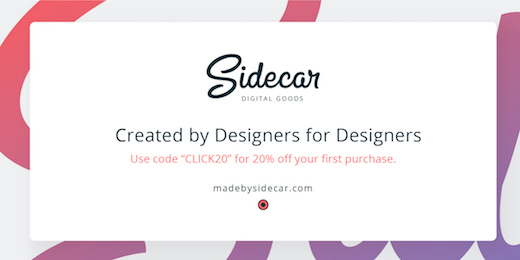 To learn more, head over to madebysidecar.com and use promo code “click20” to receive 20% off your first purchase. Emily Lewis: Today we continue our ongoing exploration of business culture with the discussion about how design thinking or a designer’s mindset can help solve some of the challenges related to workplace inequality. We’re proud to have special guest Vanessa Dewey guide us in this discussion. Vanessa is Lead for Development in Creative Experiences at Mattel where she also serves as VP of the Women of Mattel forum. She’s also co-chair for the AIGA National In-House Initiative Steering Committee, on the board of directors for the LA Design Festival and served on the inaugural committee for Ladies Get Paid in Los Angeles. Welcome to the show, Vanessa. Lea Alcantara: So Vanessa, can you tell our listeners a bit more about yourself? Vanessa Dewey: Well, yeah. I’ve been in California or actually Los Angeles for 13 years. I never expected to actually live in California, let alone in Los Angeles. I was born and raised in Vermont in the area called Southern Vermont, so I grew up in and around a creative community. My college was actually down the street from where I grew up, so I always was doing performing arts and visual arts and just leveraging that. I just thought that was integrating to my whole life besides academics, and for some reason, before maybe it was like junior high school, I had to give it up and I went more academic. And so, it’s funny like earlier last year I actually had a “what’s next” moment, and I separated from my husband. Vanessa Dewey: It was so weird, so I actually, I guess you could say, “career path” I saw back in age 4. When I was 4 years old I wanted to go to archeology. I loved history. I loved learning about cultures. At the core of it, what I love was cultures and how it within cultures you form connections that create communities. Before I went to undergrad, I was actually aspiring to go into the foreign service, so I majored in International Relations and French at an American university for a couple of years because of the same three things; culture, connections and community. Vanessa Dewey: I mean, I stepped back and like, “Wait a minute. I’m not creating a package.” Because when I do packaging at Mattel it was in like 18 months you’ll see your product in the shelf or you’ll see the logo someplace on a POP or commercials, but I felt because of the way I was challenging my mind, I was being more creative than I ever was because I was having impact on culture, and especially with what my company is going through right now, I could be probably even more creative than I ever would expect and use my brain or that creative muscle in a way that I have never would expect it. So that’s a little bit of a nutshell of who I am and how I’ve gotten to where I am today. One thing I’d commit before we go on, people will say I do have a little addiction, it’s my coffee addiction. Vanessa Dewey: I think a lot of people have that, but for me, like I had a coworker say, “Vanessa, coffee is not water. Make sure you drink water.” And it’s even funny too how that falls into my golden thread of the cultures, connections and community, because a couple of years ago, I had to live in Hong Kong for most of January to make sure we hit some release dates, and instead of going to tourist spots, I actually tracked out coffee shops to go to because then I got to know Hong Kong better than going to the tourist spots because I’ve got to know the people and all. Vanessa Dewey: So I think it’s interesting how my career has evolved, that it’s almost like my external life and my internal life, I guess you could say, have served mainly together. Vanessa Dewey: And when people say, “What do you do outside of work?” I’m like, “Well, I still do this,” and it just served blood into my corporate life, and finally things came together. Vanessa Dewey: So it’s exciting, it’s fascinating and I have to say this is the happiest time I’ve had professionally. It’s taken a long time, but the one thing I had realized, it’s always one step at a time. So that’s where I am today in Development and Creative Experiences at Mattel. Emily Lewis: And so you mentioned that the common threads, one of them is community, so your role has shifted, like you said, more from production-type creative work to more creative community work in that role. Can you describe that a little bit, and also a little bit how that role kind of changed to have you serving on that Women of Mattel forum? Vanessa Dewey: Okay, well, I can do two questions. The Women of Mattel forum I’ve been on is the Women of Mattel, it’s an employee resource group, and it’s the strongest employee resource group or the largest one, excuse me, we have in the company. I’ve actually been a part of it in some capacity for at least six years or seven years maybe. Vanessa Dewey: Time flies out. Emily Lewis: Oh, so it wasn’t tied to your recent shift in your job. It’s something you’ve always been doing that. Vanessa Dewey: And we started this as a grassroots project basically. Executives sponsored it. They supported us in doing it, but they said one thing to us, “Let’s see what it can do, but for free.” We got money for doughnuts and coffee. Vanessa Dewey: But we’ve been able to grow and now I’ve taken it over and have a nice group of like volunteers. It’s a volunteer based and we’ve scaled it to a point where we have it almost every other week on sub for most months and then we had our creative conference last week, creative and innovations conference, and sort of like if we didn’t have some of these cultural elements, we wouldn’t have a creative conference. So there’s a speaker series that’s evolved, I have my external sub that’s evolved, and they are complementing each other, but also simultaneously, what was going on at Mattel was, like many other companies that are going through the same situation, there’s a lot of change, going from what we know as a 1980’s and 1990’s, like marketing-driven company, classic corporate company, to going more creative led. We’ve seen Pepsico do that with their Ingenuity. We’ve seen that with IBM Design under Phil Gilbert who’s leading the charge down there who served the whole transition. Our company was really going through some cultural difficulties because of just financials and anything, and just the growing pains of we need to switch into a new mindset, and so fortunately, I was able to be put on this task force, a small task force, I guess you could say, that report directly to our COO, and it was all about culture. Prior to joining a team, this group of creatives that were basically non-management, did like an audit of all like the 400 to 600 creatives on campus here in our headquarters to see what the issues were. Vanessa Dewey: One thing I know is like many corporate companies, we have such fast time frames and we just don’t have time to be creative or have the ability to feel like we can leave a desk. We’re just meeting numbers. We were just going very marketing driven. So I think a lot of that when we had the answers and other elements too, they played into it. So as I think also you can see how, “Oh, that’s fine,” we started to refuel around that same time within that ballpark, and you could just see how it’s scaled over time and how people started catching on to it over time, and then my role itself, Development and Creative Experiences, there had been an entity maybe about seven years ago where it was more of a genius for us because people needed some quick fixes and help with different programs from Adobe, to ZBrush, you name it, so they just wanted somebody there, and then there’s another person who took it and scaled it a little bit more, just brought in more internal-type of content and programming, and then when I came into it, I was able to bring in the refuel, bring it to my external experience and scale it more, so it actually cracked the world myself and one thing I found out was this role for a while was under our global development supply chain organization. That’s where it got the support initially, but then earlier this year to like on February, the COO realized that this needed to be brought into HR and to have that support, because unlike some other companies like Airbnb has this amazing entity called Ground Control that’s more like of a cultural side or other companies that have a really robust cultural hub like Facebook has Analog Lab, which really helps foster the culture. We don’t have anything that’s’ like any type of hub or entities. So when I was brought into HR under the Learning Development Vertical and that’s where my role has ended up because, fortunately, my COO realizes now, or not now, but he’s always been a champion of the culture and realizing that that’s the key to fix what needed to fix and help us as a company because we’ve carried this subatomic end. Without corporate culture, our company can’t be creative. You need them, like people are so integral, and then what else comes in, as you mentioned, Emily, there’s the women’s forum. That’s another component that’s been evolved too. We have a very robust program for employee resource groups. We have everything from open, which is our GLBTQ organization. We have something for African-Americans, Asian-Americans, veterans, parents, SEEDS group, which is for all about like sustainability. So at this time it’s headed by Diversity and Inclusion HR, so fortunately, now moving in 2018, one thing that would be happening with my role as Creative and Development Experiences, I’m going to be teaming up with like our first speaker series, and so whatever my speaker series is, it’s actually producing across, meaning trying to find that connection to help or even foster and support the creative culture at our community here at Mattel, and even more so, to create more touch points and create more of a strategic direction to help guide people even more. Emily Lewis: So these sort of internal groups that you’ve created provide resources to different groups within the organization, is that something that you think is part of how the corporate culture can start being more human focused and more inclusive, more equal to understand what everyone is looking for? Is that the purpose of these groups? Vanessa Dewey: Yeah, I think it could be multiple factors. I feel one reason why I joined the women’s group initially was I needed a support system. I was a younger designer creative, and as a woman I just definitely felt I needed that support to help guide me and sort of put me in the right direction. I feel what diversity and inclusion has done and it is trying to evolve and strengthen these groups, definitely it will support that because I think it will create that touch point, those connections. I like that even before you said empathy, I think that’s the one thing as being empathetic because we always talk about being focused on the children, our consumer. Vanessa Dewey: And I feel that’s one way, once we provide those connections more and elevate that, I think that can help. Because at the end of it, you hear John Maeda talking about diversity and inclusion, and a lot of other design leaders talking about we need to be empathetic or we also need to be inclusive, and diversity is so key to producing amazing product nowadays, having diverse teams. I feel that these employee resource groups will be, if it’s done correctly, and I feel it under the guidance of a person who’s leading it, it could only benefit our company in the long run. Emily Lewis: So let’s get some definitions out there for our clients so we can sort of talk maybe more abstractly so that listeners might be able to see how their own organizations, whether it’s where they work or maybe it’s a local community group or nonprofit that they volunteer at, but ways that the designers in our audience might be able to take their own skill sets and try and leverage them for a more diverse, inclusive and equal work environment. Emily Lewis: So with that in mind, what is design thinking, like what’s a designer’s mindset, like today’s definition of that? Vanessa Dewey: More or less for me for design thinking, I feel basically it’s like a methodology that provides a solution-based approach for a team to be able to solve problems. It provides a platform that allows you to be empathetic to the consumer, whoever the end user is, and I am sorry I keep repeating this. I’m sorry I’m using end user because I know some people cringe when they hear that now, but it’s just to provide a way to solve problems. I don’t know, like I know, like a movie, you’re starting to integrate some type of human-centered design and design thinking in terms of methodology now, but when it comes to like a designer’s mindset, whenever I think of it and for ages, I’ve always just thought of possessing a curiosity and open-mindedness. If you have limitations, not using limitations as something that’s going to hinder you is going to help you propel you to find more break frame and push the status quo and find a way around it. It’s like if you hit the speed bump, how can you get around the speed bump? It’s also just being open without. Designer’s mindset is also just seeing like if it’s a coffee cup, but seeing it for the first time, and so that it can help you find fresh and new perspective and remedies for the problem. Vanessa Dewey: So that’s how I think of it because it’s so much, it’s like, and also too now you’re hearing, “What’s next? Is design thinking over now with systems thinking?” And so there’s so much going on. Vanessa Dewey: It’s like, even too, I haven’t been able to read the article yet, but it was like if everybody is seeing design thinking, what’s your advantage now? What’s your competitive advantage? So I didn’t want to go in too deep into the definition, but that’s like those of sort of where when I think of it, just top of mind, that’s where I put it. Emily Lewis: Yeah, and I mean, Lea, I think you can speak to this best because you’re the designer between the two of us, but I do think that that general definition really does describe how a lot of designers, even in the web industry, view themselves, and I do think that that definition is becoming more human with an emphasis on things like emotional intelligence and empathy in design. Lea Alcantara: Well, what’s interesting, I’ve just been sitting back here and just absorbing all the things that you’ve been saying, but at the very beginning of the show, you kept mentioning cultures, connections, and community, and for me, I feel like when I think about design thinking, and we’re talking about human-centered approach, you’re really trying to connect, right? Lea Alcantara: And if you’re trying to connect, then there’s a cultural aspect and there’s a community aspect. Lea Alcantara: And when you have that type of perspective, that can color your thinking. I do find it really weird though that people like to put systems thinking and design thinking as opposing forces as opposed to complementary mindsets, because you need systems thinking for things to actually be executed, but design thinking and methodology allows you to have the proper perspective to execute the system, right? Vanessa Dewey: Yeah, it makes sense. I just remember I was just going through my feed my one day. I just didn’t have time to fully read that, but I was like, “What?” It was like a fast company article. I haven’t had chance, but still I’m like, “But…” Especially like there’s at least four to five different types of design thinking ideologies out there from d. school all the way to Frog. Emily Lewis: All right, so I think I feel like I have a good sense of that. How about the idea of workplace equality or workplace inequality, what is that defined as? We’re all three women speaking right now, it’s not just about a women’s issues in the workplace. It’s bigger, right? Vanessa Dewey: Oh, without a doubt. At this day and age, it’s everything, especially now with what’s going on in our political culture, besides gender, it’s your sexuality, it’s your height, your weight, your skin tone, even your accent and your race, it’s just how people treat you. It’s a biased behavior towards that, and it’s like making sure it’s not like it’s inequality. So even though I might be from – I’m from Vermont, but if I say I’m – like I know one – and this is a little random, when my mother was dating my father, he was born and raised from Vermont, she was from Jersey, and because she was from Jersey, my uncle would sort of treat her not the same. It was interesting. There’s a little joke inside like family laughter, but still the fact that she was from Jersey, it wasn’t the same if she was from Vermont or Massachusetts. So it’s just like having that bias mentality, and it’s very interesting, like even though it’s fascinating, even women or people in general, there are still biases we possess too. So it’s fascinating, like even in a corporate culture when you have this such a classic hierarchal system, there are biases that if you’re not at a certain level above, you’re not going to be included, even though you might be a great mind to be added to the dialogue. So there is all that, especially when you come into such a traditional corporate culture, so workplace inequality is very multifaceted, I think. I think it’s not just one set direction. There are so many, I guess, you could say, avenues to go down with it. It’s mind boggling where if you look back at Magna and all or those like shows from past decades, it’s very straightforward. It’s like glaring, but now it’s like to see in this day and age that people are addressing it and realizing there is an issue, but we have to come to a point where it’s, yeah, we have issue, we’re discussing about how can we stop going around in circles. Lea Alcantara: Right. So how do you think design thinking and the designer’s mindset could help tackle this type of inequality? Vanessa Dewey: I think one word right away with design thinking component is the empathy side, the empathetic side. Without a doubt, I don’t think anything else within design thinking, except empathy because imagine, for me, it’s like working with interns, for example, and dealing with interns and putting myself in their shoes again, like I was there, I was that 23-year-old or 22-year-old and never been in corporate environment, how would they feel? What would make them help me them? Like right now, for me, when I came out to LA, I knew one person in the design community, and like now, hands down, I will help anybody above and beyond because I knew how hard it was to come and break through a beast of a culture like LA, that’s a beast. So for me, it’s just understanding how other people feel. Lea Alcantara: It sounds like though like in order to understand how people feel, you need to put yourself in a position to interact with people that don’t necessarily have your experience or have had past experience that you had, but you have a changed perspective now, for example, as you mentioned the intern, right? Lea Alcantara: Like it’s hard to be empathetic when you don’t actually have experience with diverse people, right? Vanessa Dewey: You know, that’s very true. I think especially, even too, when you come to a corporate culture where you have the hierarchal system and there are executives who have been at that role for maybe a decade or so and have not been in the boots situation. Vanessa Dewey: I feel with Maria Giudice with her book, The Rise of the DEO, DEO is like the new CEO, but more of a mindset and it follows that sort of the empathetic mindset, which is how I feel is where the DEO, you roll up your sleeves and you’re not going to be up on your like little golden palace or your throne, but you’d go in with the trenches. It’s being there amongst people. Emily Lewis: Yeah, I was going to just throw in a comment. Lea, this really reminds me of our episode with Whitney Hess about humanizing the workplace, like Humanizing Business. Emily Lewis: And I guess what I’m hearing is that I couldn’t agree more the empathy thing just makes sense to me from a gap perspective, but I do think it’s taking that, breaking like what Vanessa was describing, an old corporate culture that was very like numbers and marketing driven and trying to shift to think about not only your consumer as a person, but the people within the organization who contribute to that, and this type of new leadership where you’re involved in it really allows you to not be, like you said, so isolated from everyone else and not even in a situation where you could practice empathy. Emily Lewis: I think what I think is curious to me is I do think this is relatively new. I don’t think it’s a brand new, and corporations are trying to make this shift, and even when you were describing at Mattel, Vanessa, the different types of groups that you are putting together, whether it’s for military families or women’s group, that they’re trying to give people resources and connection, but I wonder what about the systemic issues that sort of really support inequality, like the organizational issues that are not necessarily codified, but how the business operates, everything from whether it should be maternal leave to parental leave or how pay works out amongst different genders at the organization, so the stuff that actually or I guess the nuts and bolts of the organization versus the people of the organization. Vanessa Dewey: I think a lot of it deals with just, first, with the leadership, their mindset, the switching of their mindset, realizing. Vanessa Dewey: Fortunately, I guess you could say fortunately in Mattel’s case, we have a very new CEO. She came in on February 8th, Margo Georgiadis. She was president of Google America, and fortunately, that’s helping us trickle it down. We have a new chief tech officer. We have a new chief people officer, new chief content officer, CFO, so I think for us in this situation, not every company is like that, that’s lucky because we’re bringing in new mindsets and new background perspectives to come to the table like our CTO, his name is Sven [Gerjets] and he wants to get stuff done, it’s amazing. It’s not the traditional way like most corporations would do it, he’s bringing in like more of a fresher perspective and I think that’s helpful, but I think at the end of the day, I feel we can have the boots, like everybody up to middle management, are onboard wanting to do that, but it may at the end of the day has to be championed by the executives. They have to put their mind around to switch it. Vanessa Dewey: I know for a while it’s like [tsk]. I’ve been a part of these in-house forums called the fulcrum forums and they’re small like some half-day symposiums, and a lot of it is centered around design thinking, and they’re really nice and just like a nice spark of inspiration. Every time I came out of it, the one thing we always say, it was like we have to speak their language, like exactly their language. Vanessa Dewey: So I think at our creative conference on Thursday, our COO, Richard Dickson, did the opening keynote and within that, because we are going towards that, the human-centered design and creative-based company, and he laid it out. It’s like the percentages, all the findings on creative-led companies. So he was speaking traditional corporate language, but bringing like the creative mindset to it. Vanessa Dewey: So I think that’s the only way. Lea Alcantara: What’s the bottom line? Emily Lewis: Yeah, and I think that’s something Lea and I have been talking about all year. We’ve been doing a series about how to talk to our clients about the work we do as creatives, but from a perspective that’s going to connect with them in terms of their business, and I think that that aspect of communication, I think while designers have, can really leverage empathy to solve things, I think it is hard to speak a different language to put your creative and human-focused terms or concepts into terms that are very, like you said, bottom line based. Lea Alcantara: Well, I’m curious exactly what those ROI points are, like how does diversity initiative or tackling workplace inequality impact the business in a positive way. Vanessa Dewey: I came up on statistics, but you will see a lot of studies have shown that women-led companies a lot of times outperform men in the long run. Emily Lewis: Even just about the products you’re just mentioning, while you gather your thoughts, this makes me think of Kellogg’s last week with their Kellogg’s box that had the artwork on it that had the one corn pop that was brown and he was the janitor. Emily Lewis: Did anyone hear about this? Emily Lewis: So there were 50 corn pops, all little corn pops at the mall doing their thing, having fun, and there’s one brown corn pop, and it’s like if you had had a more diverse team, that probably wouldn’t have gone to market. Emily Lewis: That’s my gut feeling, and obviously, I wasn’t in there. Who knows what their team was, but when you have more people on the team who are sensitive to things that are sensitive to them, then you can point out that maybe something might be a little tone deaf or might be a little not what you’re trying to do. Emily Lewis: That’s a huge market. Lea Alcantara: And I mean, that is a business-specific decision. Well, actually, it’s a design-specific decision with a business backing. Why would you want to ignore a very obvious growing sector? Would it have been different if it was not specifically race based? But my name is Lea Alcantara. I’m not Hispanic, but I am Filipino and I am a brown person, so it was something that I thought was really striking when I was looking through the photographs. Emily Lewis: But maybe you had I as the designer, I might not have even thought of that. I mean, I hate to say that because I don’t think that’s true. Emily Lewis: But being white, maybe it wouldn’t have occurred to me. Lea Alcantara: Right, right, and the team that I was speaking to was a mix of men and women and people of color, but there was not a Latin person there. I’m not saying that we need to have the United Nations in every design team [laughs], but this just like really starkly put the fact that just having me as a person of color as part of that particular project, I was the only one, I was literally the only one that pointed it out to them. Emily Lewis: I think the more people that you have involved in the process who have different perspective on things, the better, and we talked a little bit about some positive things that can come from having a more empathetic and inclusive perspective about the business, but what’s the bad stuff? I mean, what are the problems of workplace inequality, because I think sometimes that can be even more compelling to maybe not the bottom line of like profit, but the bottom line of employee satisfaction and productivity. Vanessa Dewey: I know, totally, like there’s one quote where I think I’ll go and paraphrase because I’ve seen it so many times, but it’s like basically people many times leave because of their leaders leading the company. Vanessa Dewey: And it’s morale. Vanessa Dewey: It just sort of feeds into the whole negativity of a culture as a whole. So I think that’s the one downside. Emily Lewis: Yeah, I think that’s something that’s – I don’t know if it’s worse than not doing anything, just letting things be the status quo, even if the status quo encourages inequality and people being unhappy or treated unfairly, but what I can’t stand in my previous life working for the man was promises. Emily Lewis: Promises that we are going to do some stuff. Emily Lewis: That things are going to get better. Emily Lewis: But when it comes down to it, it never does. You have your town hall meeting and the entire company is altogether and it’s hoorah, we’re great. Emily Lewis: And then when it comes to the actual work, no one is doing the things they say they’re doing, and that, that is also a killer, and so if you’re saying you’re going to try and bring in speakers so that you can hear from different perspectives to help you, your creative juices, but then you’re consistently being passed over for promotions, it doesn’t help when you’re doing some things and not helping the others. Vanessa Dewey: Oh, definitely, and I think it’s having leadership as a whole saying if they’re going to do something, stand up for it and say they’re going to do it, but also when it doesn’t happen, you’ve seen this, I see this in a lot of companies across you read about, the leaders not coming back and saying owning up to it and taking the accountability for it. Vanessa Dewey: I think that’s another component in that, too, I’ve seen time and time again from other companies I’ve read about and also that’s a new way of leadership that it definitely needs to be seen more of even the new CEO of Uber, he was just very vulnerable, it’s the vulnerability, and saying that, “I’m afraid,” when he was coming into like – I forgot his like, was it a tweet or something, but he was saying, you know. He was showing his vulnerability in one of his first communications with the public. So even if you’re saying you’re going to do something and if you don’t, it’s just showing your vulnerable side regardless. I feel from what you were just saying, Emily, it just makes me think of like the leaders need to show their vulnerability and not in general too. I don’t know why that came out of that with your comment, but that made me think of it. Emily Lewis: Let’s acknowledge what’s actually happening. Lea Alcantara: Right. You can’t fix a problem until you say that there is a problem. Vanessa Dewey: Well, I would say more or less because Iceland, when you see their population, it’s like 350,000 women are there, and so when you think of that compared to like 52% of the US population on average, I think, I’m just probably guesstimating at this point, is women. Vanessa Dewey: So I think numbers makes a difference, but they have no pay gap in Iceland. Vanessa Dewey: I think it was just this past year that it had to be equal pay, and then they’ve always been a champion of it, they’ve always been at the top like the lowest pay gap regardless for years. They have the Women’s Day, so like every – is it once a year, but they haven’t done it consistently every year. It’s like women would walk out of their job right when their day would start being free and then they’d walk down to downtown Reykjavik, but it’s a little more, and like that’s amazing. Like I wish to some degree [laughs] at some company, there will be some type of like I guess you could say a walk out. Lea Alcantara: A walk out. Emily Lewis: Well, so the pay gap is, essentially, is it women make 70% of what men make generally speaking? Vanessa Dewey: Yeah. Women make about 72 cents. I’ve heard actually 80 cents. It fluctuated depending where I’ve heard it, and it’s about around that to a dollar for men for every hour. That’s basically here in the US. Actually, it’s sort of funny, not funny, but I just have to laugh and like technically until this year, we’re like the number one super power and all, and when you look at the World Economic Forum, every year they do like studies, basically we were below something like African nations like Namibia or something. Vanessa Dewey: But of course, some of these countries are a little bit better in those areas, but still we’re like 22nd or 25th on that chart for pay gap, and when you think about it, the pay gap in general globally will not be diminished until like our grandchildren’s grandchildren. It’s like it’s at least a century or so away. Emily Lewis: Only if they do something about it, too. Vanessa Dewey: Exactly, exactly. I think we all have our voice, and I know at the end of the day there’s always that mentality that’s like we have to be apologetic. We cannot reproach ourselves if we are applying for a job. Like statistics have said like a woman applies for a certain job if we miss one of the five key things, we’re like we’re not prepared for it, whereas a man, if he misses three out of five, he’s like, “Oh, I got this.” I’m generalizing. Vanessa Dewey: But there’s that disparity there. Vanessa Dewey: That we, even like I would never go a boss and say, “If you don’t promote me I’m quitting,” but I’ve heard stories like that over the years, like where men would have the moxie to do that. So I think at the end of the day, the pay gap and approaching corporate is definitely a touchy subject, depending on what company you’re in. I know our company last year signed the White House Equal Pay Act, and I know with other companies definitely it’s harder just because of the layers and such, but it definitely is the way to address this. I think it’s to keep it in dialogue, but not just to be speaking about it, speaking about it, because I know after it, the one thing is there are so much dialogue on equal pay, but also in general, the whole women’s, you know, this whole movement of equality that we have to be – my focus don’t want to be that sort of the global pride world type of thing where we keep talking about it, talking about it, and then when something happens, we’re ignored or we are just totally ignored. Vanessa Dewey: So I think we have to be strategic of how we leverage that and almost to the same time too, I hate to say this, but I don’t think we need to work harder or anything, but when we present it, like I think, especially by nature, women are not… I know for myself, I know I need to look into negotiations more on how to negotiate to address this topic. Vanessa Dewey: With some of them, it’s that all of them are free or in a basket or something. I kept saying to all my friends who are working on other things here at this company, I’m like, “Look, it’s free at IBM. It’s free here.” And like little things like that because that’s…. Lea Alcantara: I think the statement we had like a little bit earlier in the show about like speaking the language that makes sense would really help go a long way. Lea Alcantara: Because, okay, it’s called, especially because you mentioned negotiation and I just love, love, love this book and I think like every person should read this, but I definitely think specifically women and women who are ambitious in their career. It’s called Never Split the Difference: Negotiating As If Your Life Depended On It by Chris Voss who’s an former FBI negotiator talking to terrorists and all these other things, and it’s funny because it’s really kind of like an exciting book because he’s got anecdotes of real-life hanging-in-the-balance kind of situations, but what was interesting, because this entire show we’ve been talking about empathy and diversity and how empathy is one of the key things. In negotiation, life or death or business, empathy is the key to getting what you want, and even if this person has a gun to your head and you might be angry or there might be certain extenuating circumstances, I love how the book kind of broke it down and tried to even in difficult situations got you to understand what the other person really wanted so that main function of speaking the language that they understand gets you on their side. Vanessa Dewey: When you were mentioning that, it just reminded me there’s side project I’m doing outside work called Smash Stories. It’s with a bunch of various female design leaders and all. Vanessa Dewey: And other men were discussing about it, because like in a design field, 60 to 70% of the designers are women, but some people are like thinking, “Oh, well, good, there are female designers.” But no, when it comes down to it, it’s like in advertising, in design, there’s like on average 11% are creative directors, so it is a discussion point, but because it’s so prevalent now, a lot of people don’t understand it. They think it’s fine because we’re talking about it, but at the end of the day a lot of these people aren’t empathetic to us as women to understand what’s going on. So in that scenario, we have to be empathetic to the other people to get anything done, so totally. Emily Lewis: Instead of being calm and professional about it. It’s also about managing emotions and recognizing what you’re saying, like not everyone is seeing what you’re seeing, and I think that’s very much like being a designer who’s come up with some product or a design or a website or something and you have to explain it to someone who doesn’t quite get it. Lea Alcantara: So this reminds me of our episode with Amélie Lamont about fearless feedback. Lea Alcantara: And I think we need to get to that point, and the one thing that reminded me of this episode was when she used to work at Apple, they taught about fearless feedback, and assuming positive intent. Lea Alcantara: And I think in these difficult situations, again, my perspective is not everyone’s perspective, I always feel like it’s a tricky situation when you’re a woman and a person of color, this doesn’t mean I represent all women or all people of color. Lea Alcantara: And I also understand, yes, it’s a burden on us that we don’t have to fix everything, but if you are speaking to middle-aged white man, as Vanessa was explaining in that situation, who makes a comment that may not necessarily sound empathetic towards this particular situation, if you put yourself and assume positive intent, that helps you change how you may react, right? Lea Alcantara: Of course, not everyone has positive intent. That’s a reality we have to deal with, but especially in the corporate world and if you’re trying to negotiate and you’re trying to move up, and I think it’s also a better way to live. I don’t’ know necessarily if we’re always thinking that this person is out to get you just because they said one offhand comment. That doesn’t necessarily mean that’s correct. Vanessa Dewey: So there has been stories like that so much, so unlike when there is that older man who spoke to my friend, yes, you could see what he was thinking, he had the best intent because he’s like, “Oh, there’s discussion,” like whereas maybe when he started his professional career, there’s no discussion about that. Lea Alcantara: Correct them either, and it’s not up to that person to not be offended because it is an offensive comment, but it’s definitely a difficult thing to navigate around. However, Emily and I, we had that conversation over how important it is, because I am not a perfect person. I’ve said things that were off side. Lea Alcantara: And what was important to me is that maybe because I was in a safe space and in front of my friends and also because they’re good people when/if I mess up that they were able to correct me and because I respected them, I took it to heart. Lea Alcantara: I think that’s the bottom line, like if you have a genuine connection with someone, which means you actually both empathize with each other, like within friendship or family, if you say something off side or they say something off side, you feel safe in calling them out, you already automatically changed the way you call them out, too because you know you don’t want to hurt their feelings and then if you are that person who did or said something wrong, you listen because you care and respect this person, right? Lea Alcantara: So I want to put out that kind of perspective, too, where maybe that comment was completely off side, but like let’s put another scenario where the person who said that was like your best friend and he was an engineer and he was a person who’s never said anything really off side before, then just stating your perspective could help change his perspective, right? Emily Lewis: Yeah, I think it gets harder when you’re in the workplace. Lea Alcantara: Oh yeah, totally. Lea Alcantara: [Laughs] I know. Emily Lewis: Hey, let’s be respectful to each other, that’s going to be great. I think I came across a resource. I’ll make sure we put it in the show notes. I haven’t tried it. I often approach going into. because I work from home and I work by myself, I don’t interact with a bunch of people, so when I have to go into situations like that, I actually try and anticipate the worst scenarios because I’ve been there before. Emily Lewis: And I don’t know what to do when some guy makes an inappropriate comment to me, and not just socially, not at a bar, like in a conference with a fellow speaker who’s being inappropriate to me. Lea Alcantara: Right, right, right, right. Emily Lewis: And so I like to anticipate how I might handle those things where I feel like I walked away with some dignity. Honestly, I could care less what they walked away with. Emily Lewis: But I want to make sure I walk away with a sense of dignity and not feeling like… I often feel I can look back on situations where there has been sexual harassment in the workplace where I wished I had said something in the moment, but I was so shocked and embarrassed by what had happened I just wanted to escape the situation. Lea Alcantara: Oh yeah, I read that. Yeah, I read that. Emily Lewis: We don’t do that here, like there’s no judgment, there’s no “you’re bad, I’m good or women are better” or any of that. It’s just, “Well, that’s fine, but we don’t do that here. Thank you,” and that’s it. Emily Lewis: “We don’t talk that way to people here. We don’t touch people that way here.” Whatever it is, like it’s very simple and straightforward and I want to try that the next time I am in a situation, because there will be a next time. Lea Alcantara: Exactly. And then also that she entered that meeting saying, “We’re going to leave this meeting in a good mood or we’re going to leave this meeting in accord.” It’s like before they even started talking or even stating there’s a problem, she stated that the outcome was already going to be good straight off the bat. Vanessa Dewey: Yes, setting the table in an appropriate way, I think that’s where you set the tone. Vanessa Dewey: So then we’re all in the same page. Vanessa Dewey: Like I know even too, I love those ideas. I think fortunately the team I work with, I don’t have to encounter stuff like that as much anymore. Vanessa Dewey: But I knew like the one off conversations, I was once verbally threatened on the phone by this design leader. Vanessa Dewey: And I stepped back. For me, sometimes it’s like my mother always tells me, three grounding breaths. Remember your three grounding breaths. Vanessa Dewey: So I didn’t do the breathing, but I sort of just paused. Vanessa Dewey: And I think sometimes it’s also don’t go, especially when you start feeling on the offense, it’s a fight or flight, and you’re going to jump into it and go quickly, but it’s like when you get into those moments, if you’re not prepared, if you don’t do the preparation and that’s not your thing, it’s also too, remember to step back, pause and then like what my response was, it’s just very cold, not cold, but very direct and squashed it and I gave the reasoning. Vanessa Dewey: Yeah, it’s holding your own, and like Amélie, she held her own in the beginning. Vanessa Dewey: And that’s a man would do. Vanessa Dewey: So it’s almost like, are you familiar with Pinterest Studio’s new campaign, right the ratio? Vanessa Dewey: And as like all these other things, too, I find it so fascinating resource, but for me, it’s like, what would a white man do? It’s like Amélie would do what a white man would do. I would do it, like I hate to be generalizing, but still. Emily Lewis: Well, I mean, stereotypes exist so people can categorize things, and when you’ve put it that way, everyone has an instant reaction on what that means. Lea Alcantara: Well, I also wanted to caution though that everything is context as well too. Emily Lewis: It makes you feel sick. Lea Alcantara: Well, and it gives you major consequences, right? Lea Alcantara: Because certain things, like even just like simply women, right? Lea Alcantara: Like if you’re asking for a reasonable raise, even if you are asking for a reasonable raise in front of a female manager, can come off confrontational, right? And it’s interesting, like I always find some of the advice about workplace inequality and pay gap things interesting because I’ve applied some of that advice throughout my career with interesting varying results, you know? Lea Alcantara: Like, for example, the one thing that I’m thinking about, sometimes a lot of people try to talk about shifting the responsibility to the women to lean in and do these things and just ask for the raise, and I remember earlier in my career, I actually typed out my resignation letter, kept it in my back pocket, and then when I was ready to negotiate my salary at that time, and I thought it was a fair raise, in fact, I remember seeing the salary sheet for my position and I just wanted the high end of the initial position stuff because they initially paid me really low, and then I asked, “This is what I want,” and they were like, “No, we want to give you this instead,” and I said, “Well, I don’t think that’s fair,” and they weren’t willing to budge and so I gave them my two weeks’ resignation right then and there, and my manager’s face got so red, like he was so shocked, like he didn’t expect me to actually give him a consequence for not giving me what I wanted and what I deserved, and then I quit, that’s the thing. Like if there’s a consequence and there’s a thing that you have to do, you have to follow through; otherwise, it’s meaningless. Lea Alcantara: And this is kind of like the advice that men get all the time, “It didn’t work out for me because they didn’t give me a raise and I ended up quitting, but that basically launched my design career. [Laughs] So I mean, like thanks, but at the same time, it’s never a guarantee. Vanessa Dewey: No, not in the least, but then also as you’re talking about that approaching the getting a raise and all that, even if you have like a male, just an average male, even sometimes in the worst situations, I’ve experienced in other female peers have experiences with female leaders. Vanessa Dewey: Because they have gone through the whole rigmarole so you have to go through it. Vanessa Dewey: So as you’re talking about that, that just kicked, meaning like in the beginning when you started talking, Emily, I’m like, “Oh, I have to remember that,” because that’s amazing. Like people having to take vacation days to go to a women’s conference, even though it shouldn’t be a vacation day. It’s just like those stereotypes, it’s not just that. I know we keep saying men, but also, too, I think the whole traditional mindset in corporate America needs to be redirected, too, and I know I’ve had sometimes the worst situations have been because of female coworkers. Emily Lewis: We’re going pretty long on this episode, so I want to start wrapping up. I do want to bring up a topic that we sort of touched on a little bit earlier, but I do think it’s particularly relevant right now. Emily Lewis: It’s about being strategic about whether we’re addressing something for the corporation. Maybe we’re part of a group for a company or maybe we just want to address it for ourselves where we’re feeling there’s some type of inequality that’s keeping our qualify of professional satisfaction low, how we can be more strategic about it, especially when I think we all can agree, women’s issues are really saturated in the media right now. Emily Lewis: I’m saying that I think it kind of does get to a point of exhaustion for people who maybe around used to dealing with this on a regular basis. So how do we tackle these challenges with without feeling like we’re just part of a diluted message? Vanessa Dewey: Right off the top of my head is bringing the men into the discussion. Bring the right people, male counterparts or leaders, who you know are empathetic and you can trust because once you bring them into the dialogue, that’s where it can help sort of break down these barriers. So if I was going to go and, for example, like I don’t have to deal with that just right now, but if I say I wanted to go and have get it raised, I probably would go right to my male mentors who I know I can trust and could help me give the right perspective or if I’m bringing in a bigger panel or dialogue, I would bring men into the discussion. For the women’s organization we have at Mattel, we have an annual conference. Several hundred people who go to it for years will always predominantly be women, even though men could attend, which I think we’re trying to encourage more, but we are actually doing a campaign this year. It’s called or the theme is like We Rise, and tomorrow actually, I think tomorrow afternoon actually I’m doing a photo shoot with different people from our company, but it’s not just to be all women, it could be men, so I think to sort of address this like bringing people to come in to help with the discussion, bring them onboard so they could be empathetic or then if they see certain like leaders, male leaders like C-suite sort of men coming on board in this dialogue, that can help break down some of the barriers. But I think we can’t go around in circles like a dog chasing its tail much longer, but bringing the man, because a lot of times that’s the issue or to the dialogue, it’s key. Emily Lewis: Because it does affect men and families and communities when women don’t have equal rights or equal access to resources or equal pay, that has a trickle-down effect to the community. Lea Alcantara: Well, to me, the bottom line is, again, if we’re thinking about this in a business perspective or even in a project perspective when we’re trying to convince someone to implement a feature or do something, what we need to do is bring in the person who makes the decisions and get them on side and the reality in every situation is that the people in position of power at this point in time in our society are men, and so if we are purposely excluding the people who have the actual ability to make systemic changes, then again, Vanessa, you were mentioning, chasing our tail. Emily Lewis: This is so on my mind these days, but we do need to wrap things up. Vanessa, could you recommend some resources for our listeners who want to know more about workplace inequality issues or issues like about the pay gap? Vanessa Dewey: First and foremost, I think the one resource you should attack is or connect with, depending if they have it in multiple cities is Ladies Get Paid. Vanessa Dewey: They have a Slack channel that you have to join for free, the group, or join Ladies Get Paid and it can be found on a Slack channel. It’s international. It’s very beneficial, and also most cities have chapters now. Beyond that, I think also if you’re in the design field, look to Women Lead Initiative. It was started by Deborah Adler and Su Mathews Hale, and also they have events. They have webcast at times and also different chapters do do their own women’s initiatives, and the one thing too I find very fascinating about two years ago, AIGA teamed up with a sociologist, Dr. Leyla Acaroglu, and created this Gender Equity Toolkit to help break down. It’s like a gamifying gender biases. Vanessa Dewey: So even I have gender biases, so I think there’s that too. That could be beneficial. I know we’re doing a workshop with Lynda Decker at our upcoming women’s conference for this. There’s that. And then there’s I would say Pinterest, I love the right the ratio. I think that’s something. I know, as we said, there’s so much out there. I think for me when I saw that, it caught my eye. It was a head snap. Vanessa Dewey: And bringing in not the usual suspects with the dialogue. Yes, Cindy Gallop is there, but she’s so refreshing I find, but then there are women, like who are they, and just how they interpreted some of the data I find was fascinating, and on there too, there’s actually a lot of resources too, I would say. So those are my top three things I would say right now. Lea Alcantara: Awesome. Well, thank you so much. Lea Alcantara: So that’s the all the time we have for today, but before we finish up, we’ve got our rapid fire ten questions so our listeners can get to know you a bit better. Are you ready, Vanessa? Lea Alcantara: Okay, first question, introvert or extrovert? Emily Lewis: The power is going to be out for the next week, what food from the fridge do you eat first? Lea Alcantara: What’s your favorite website for fun? Emily Lewis: What’s the last thing you read? Lea Alcantara: What’s the best piece of professional advice you’ve received? Vanessa Dewey: One step at a time. Emily Lewis: What’s the worst piece of professional advice you’ve received? Lea Alcantara: You’re not good at speaking. Lea Alcantara: What’s your favorite color? Vanessa Dewey: Oh, I guess red. Emily Lewis: If you could take us to one restaurant in LA, where would we go? Vanessa Dewey: Right now, I would say The Factory Kitchen. Emily Lewis: What kind of food is that? Lea Alcantara: What’s your favorite board game? Emily Lewis: Last question, Hulu or Netflix? Vanessa Dewey: I’m biased, Hulu. Lea Alcantara: Oh. So that’s all the time we have for today. Thanks for joining the show. Vanessa Dewey: All right, thank you for having me. I appreciate it. Vanessa Dewey: They can find me through Twitter and Instagram @vandewcandew. Emily Lewis: Awesome. This was a really good conversation. Thank you for joining us today. Vanessa Dewey: You’re welcome. Thank you. I hope you have a great rest of the week, so thank you. Lea Alcantara: CTRL+CLICK is produced by Bright Umbrella, a web services agency invested in education and social good. Today’s podcast would not be possible without the support of this episode’s sponsors! Many thanks to Craft CMS and Sidecar! Emily Lewis: We’d also like to thank our hosting partner: Arcustech. Lea Alcantara: And thanks to our listeners for tuning in! If you want to know more about CTRL+CLICK, make sure you follow us on Twitter @ctrlclickcast or visit our website, ctrlclickcast.com. And if you liked this episode, please give us a review on iTunes, Stitcher or both! Links are in our show notes and on our site. Emily Lewis: Don’t forget to tune in to our next episode. Be sure to check out ctrlclickcast.com/schedule for upcoming topics.